This beautiful sub-tropical climate has warm temperatures all year round. Rarely dropping below 77°F and rising above 90°F with the daily average temperature of 83°F. In the evenings you can expect a drop in temperature due to the position of the islands in the trade wind belt. The seasons here do not have a dramatic change in climate like most and benefit from steady trade winds that provide excellent sailing conditions. 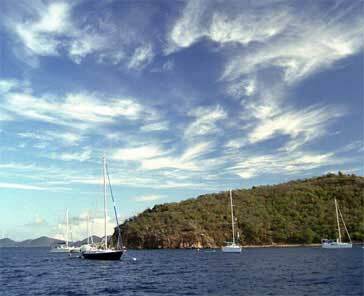 There are four clear seasons in the British Virgin Islands. The Spring Season lasts from April to June. The trade winds start settling down at the beginning of the season, making the wave height less and temperatures warmer, with highs around 90°F and a daily average of 85°F. Spring brings lush green vegetation to the islands and a cooling trade wind breeze. With more settled waters the visibility for snorkeling and diving is increased and the marine life found here can be truly appreciated. There is only a 20% chance of rain and with the steady SE winds at around 10-15knts this is an ideal sailing ground. The Summer Season lasts from July to September. The temperature in this season ranges from 80°F - 95°F. The wind direction is East–South–East and average wind speeds are around 10 – 12knts. July to December is the rainy season with an average monthly rainfall of 4 inches. Rain only falls for a very short time and within the hour you will usually see bright sunshine again. Hurricane season officially runs between the beginning of June and the end of November. The Caribbean tends to see hurricanes later in the season; however, they can occur at any time and usually a warning will be issued a few days in advance. The Winter Season lasts from December through March. 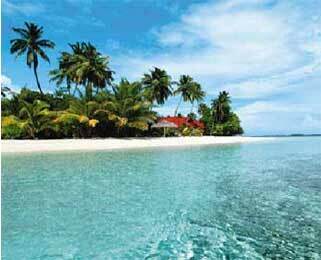 The British Virgin Islands enjoys a pleasant winter with plenty of sunshine and average daily temperatures of 80°F. The winds around Christmas can be gusty and sustain 20knots with cold fronts passing through the region. In late winter the winds ease and the trade winds return to a South Easterly direction with wind speeds of around 15-20knots.